My last game at Gen Con was Dinosauria! This was a new one I had started on a while back designed to be an intro adventure for Ghosts of Albion. I have mentioned here a few times and even posted the characters. 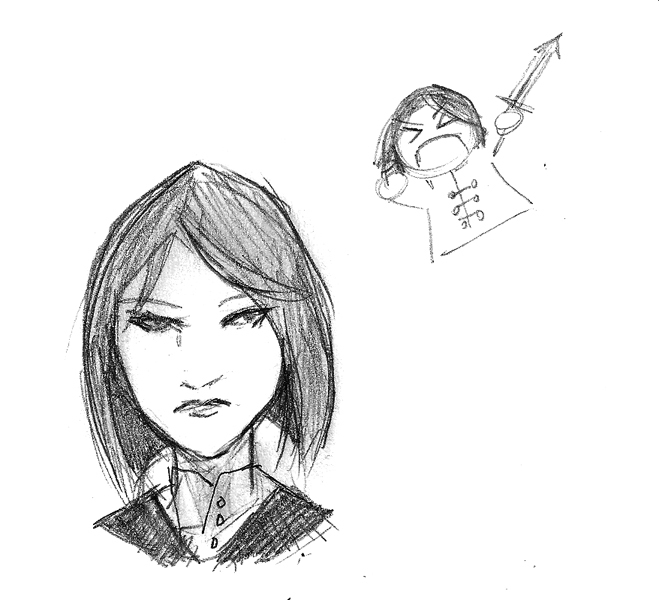 One of my players that night decided to do illustrations (with anime style "chibis") of the new characters. I was floored! I loved them. I asked her permission to post them here and she agreed. So without further ado, here are the stars of Ghosts of Albion: Dinosauria! I thought these were awesome and I very happy to have them in my Dinosauria! collection. Click to make bigger. 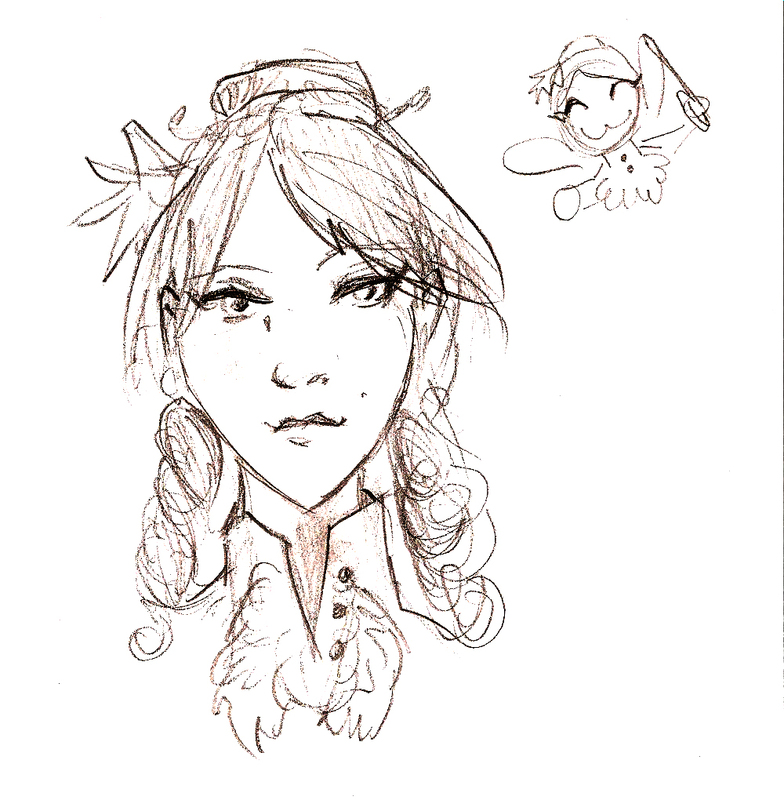 Sorry about the quality of the scans, was playing around to see if I could make her light pencil sketches show up a little better. 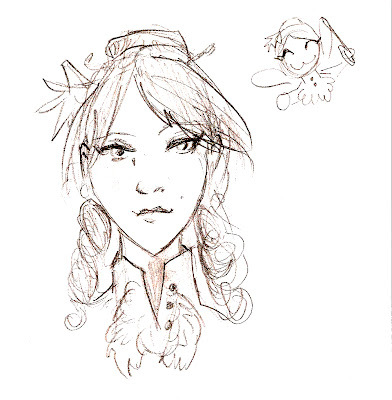 And thank you Audrey for being in my game and doing these great character portraits! Going to Gen Con! YEAAHHH! I so need this vacation. I'f you want to come by and say hi, here are the games I am running. I like to get to the table early to set up. Dinosauria! is completely new with new characters designed to get people up and going fast. The 1:00 pm will be "kid friendly" and the 7:00pm one will be more older kids and adults. Obsession is revised version of the adventure I ran last year. If you played last year then this one is not very different except for some details and the starting of the adventure. I am also running S4 with my boys in our hotel Saturday night. I have been promising to get some characters up for Dinosauria. Here is the first. John is not just the first one to be posted but he was the first character to be created for Dinosauria proper. He is actually the idea of my good friend Steven Todd and this character is actually registered with the Screen Writers Guild in Hollywood since he was to appear in one of the movies Steven worked on. So it is a really treat that I am getting to work on him here and use him in my adventure. Pistols +10 12 Bullet* John has two Colts, one with regular rounds, the other with his special gold rounds. Once empty a Pistol needs 1 round to reload. John Mulgrew is a former U.S. Marshall. Back in the days when was a Marshall he and his family lived in the new state of Texas where his job was to make sure that the local population was “controlled”. This meant he hunted down American Indians that had broken the law. After a particularly long a bloody battle, John came home to find his wife and two children killed. Not just murdered, but ripped apart. Insane with grief he ran off to find out who did this. He was discharged from the Marshalls, but he didn’t care he only wanted to find who killed his family. He was convinced it was an Indian and had tracked the culprit to the Dakotas. One night he made his camp near a cross roads only to be awoken by a strange man dressed as a gentleman cooking a foul smelling diner over his campfire. John raised his gun to the man, but the man only asked John to give him his gun. John, without thinking, handed it him. 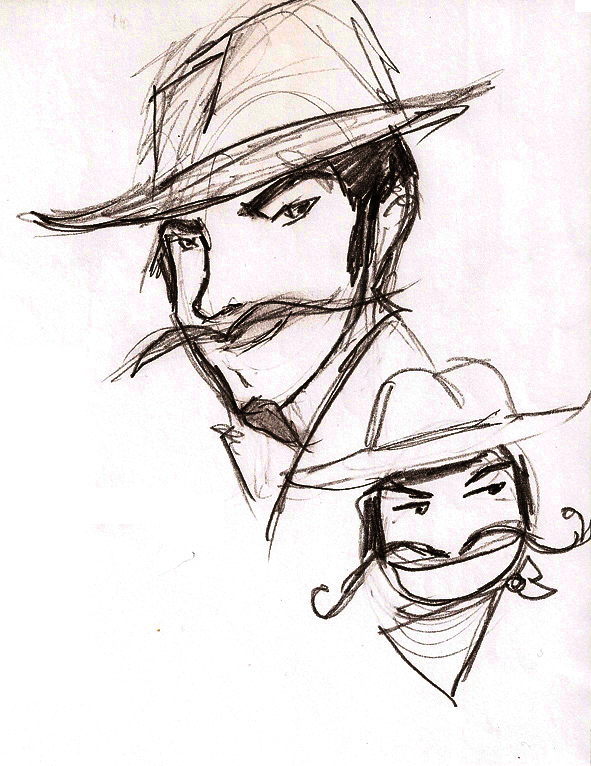 The man unloaded John’s revolver, a .44 Colt Dragoon, and reloaded it with cartridges made of pure gold. He loaded in six and handed John a seventh. He then told John that he knew what he was hunting and this gun will give him the ability to kill it. If he didn’t want the gun, just leave on the ground, but if he took it up then he only had seven shots to kill seven monsters and then John’s soul would be his. John woke up the next morning with no sight that the man had been there, but his gun was still loaded with the gold bullets. Tucking it deep in his saddle bag, John rode on. John had followed a trail of destruction all the way to the Dakotas. There he found an Indian. The two men tried to kill each other till they were stopped by a beast with long claws and blood stained white fur. It stood as a man, but thin and nearly 9 feet tall. The creature attacked them both. The Indian seemed to be using some sort of magic to attack the creature which harmed it, even while John’s shots from his normal gun were ignored. John recalled the gun with the gold bullets and he shot the creature which killed it instantly. John and Indian, who he learned was named Husun, tended their wounds. Husun told John that the creature was a Wendigo and it had killed everyone in his camp. It was also the creature that had killed John’s family and all the families between here and Texas. He told John his gun was an evil thing, but now that he had used it he could not be rid of it. John and Husun, whom the locals called “Blackfoot”, traveled together for a while investigating the paranormal. John tends to drink a little too much, but it is the only way he can sleep at night without the nightmares of the Wendigo killing his family. John and Husun have come to England as Guests of the wealthy Lord Dyus Paton. Lord Paton has been unable to attend tonight’s diner at the Crystal Palace due to illness, but has sent along John and Husun in his stead, knowing the august crowd would enjoy seeing a real live American Cowboy and Indian. And has been for a about 100 minutes now. I was here, of course and still did not get into three of the games I really wanted. My Gen Con tradition is to play Victoriana, but that game was sold out, and I tried to get into the Dresden Files game, but they were all booked too. I did not see anything that looked "OSR Sponsored" (whatever that means) so if you are running an old-school game then let everyone know. Here are my games, they are selling pretty fast. 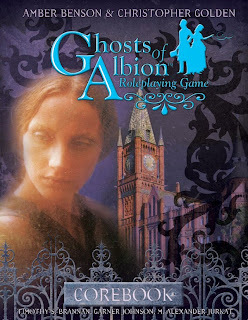 I am going to be at Gen Con this year running Ghosts of Albion games again. On tap is "Obsession (Revised)" if you played Obsession in the past then this is the same game, but I am changing the beginning slightly. The change is subtle, but I think it will change how the rest of the adventure plays out. I am also going to run two games of "Dinosauria!". The one during the day will be welcome for younger players (cause everyone loves dinosaurs) and the evening one will be geared more to the older crowd (tad more violent, but also things adults are more likely to get like an argument between Karl Marx and Charles Darwin. Yes they are NPCs). Here are the locations and times. I am leaving Thursday and Saturday during the day to play some old-school D&D and 4e D&D with my boys. I am behind in getting my games ready for Gen Con this year, but WAY ahead of where I was last year. I am going to run three Ghosts of Albion games. But I have some questions. When is the best time YOU like to play a game at Gen Con? I had a couple of 7:00pm games and they were good, but one was under attended. I think it was more to do with the fact that I got it in so late than the time of day. Next Question: What Games should I run? I am going to be running games of Ghosts of Albion. There is trouble at the Plough Street Theatre. The Times reports that authorities have found the strangled body of prominent actress and performer, Miriam White. However Miss White has herself commented to The Times that she is in fact alive and well and has been seen not only on stage, but having lunch with her manager just outside the theatre. You are requested by James V. Harold, esq., owner of the Plough Street Theatre to discreetly investigate this matter. No everyone is motivated by progress. When lumberjacks and mill workers begin to go missing and some turn up dead by mysterious means, then it is up to the Protectors of Albion to find the cause and put it to an end. Both Dinosauria and Wilderness need a little more work. But I am going to submit Obsession later today. Another character for Dinosauria. The immortal Lady Beaumont. Valerie has the distinction of being the first character ever created for Obsession. Looking forward to seeing how she gets played in the new game. Widow from Lord Charles Beaumont who died some 5 years previous, she has spent the last year becomming familiar with society again. Her husband was a known traveler and adventurer who had a nose for the strange and unusual, and some even say that this may have rubbed off on her. Lady Beaumont will be making her first appearance in a beautiful blue dress, that is at the height of fashion with a delicate white/pearl colored shawl. Her evening hat is the same color of her dress, with just a bit of mesh weave along the front. She does carry a small cane to help her walk, she seems to lean on it more for support than actually needing it to walk. Lady Beaumont is just over five feet tall and she has the most alluring green eyes. Lady Beaumont was born in 1569 and is immortal. She was a young English girl that made her way to the new world in the year 1585. She came to the new world and settled in the Roanoke Colony where she lived for a couple of years. Then something happened. She was caring for the young Virginia Dare and then woke up several days later and several miles from home. When she had managed to return to the colony, everyone was gone. She also discovered that she was immortal and was certain that the two were somehow linked. 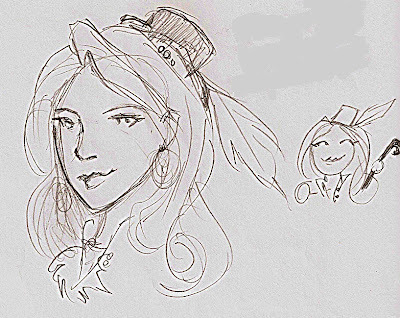 Valerie spent the next few years roaming the new world. She learned magic from some of the few true witches in Salem and more from the American Indians. She has since returned to England, but now considers herself an American. 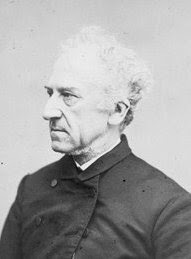 She is acquainted with the Protectors of Albion and has worked with Walter Edwards before. She is also very good friends with the American Statesmen Benjamin Franklin and considers him a dear friend. All of these people do know her secret. She has a ring on her right little finger that manages a glamour that "ages" her. A gift from a former lover. Currently she appears to be in her mid 40s. Without the glamour she appears as she did when she discovered her immortality, a young woman of 18. Her mind though is as someone approaching 300. She walks with a cane, but that is a mere affectation. The cane houses a sword of fae steel (very rare indeed as the faerie are loathe to work steel). She is quite adept at it's use (having practiced for centuries) and in her hands it becomes a deadly, formidable weapon. Valerie is given more freedoms in Victorian society than would normally be due a woman. She has status, money and is widowed, all which contribute to her status, and she is an American so society often looks the other way for her. Been a slow blogging week here at the Other Side. I am really busy at work and I have been re-working both Ghosts of Albion adventures I'll be running. Speaking of which, I will be at a local Convention, Cyphan, at the end of July. I will be running both of the same adventures I'll be running at Gen Con, "Obsession" and "Dinosauria!" on Friday and Saturday respectively. Cyphan has a more Steampunk feel to it than Gen Con, so maybe I'll make a mad-scientist like character to fit into that mix. He/She would be perfect for "Dinosauria!" really. I have also been active in paying some more attention to my other (co-owned) blogs, Red Sonja: She Devil with a Sword and Amazon Princess. This July I want to spend some quality time with the Ubiquity system. This is a "generic" system that goes after the same sort of games and crowd that Savage Worlds and Unisystem target. 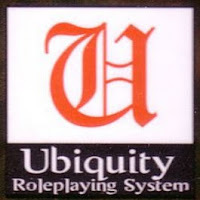 I tend to like Ubiquity a bit more than Savage Worlds, but a little less than Unisystem. The Ubiquity System was created by Exile Game Studios for their Hollow Earth Expedition game. It has since been used in other games by other companies. I am also working on a couple of NPCs to help feature some of the game rules. A few I really want to do are Dracula and Sherlock Holmes. When I first was getting into Ubiquity I started with Leagues of Adventure, which is like an alternate universe "Ghosts of Albion". While in GoA magic is supreme, in LoA it is weird science and steampunk. I like to think that every character in GoA has an LoA counterpart and visa versa. In fact I ran my Ghosts of Albion: Dinosauria adventure under Leagues of Adventure with no problems. I had to fudge the magic a little, but now I think I could a much better job. I will talk more about Leagues later in this week, but suffice to say I am rather fond of it. Hollow Earth Expedition is a game I knew I was going to love, but one I did not buy till very recently. I was working on a Hollow Earth book for Battlefield Press and I didn't want it to enfluence me. I am happy to say that the HEX book I picked up was both similar and very different than what I did. It was obvious we drew from the same sources but went in different ways. 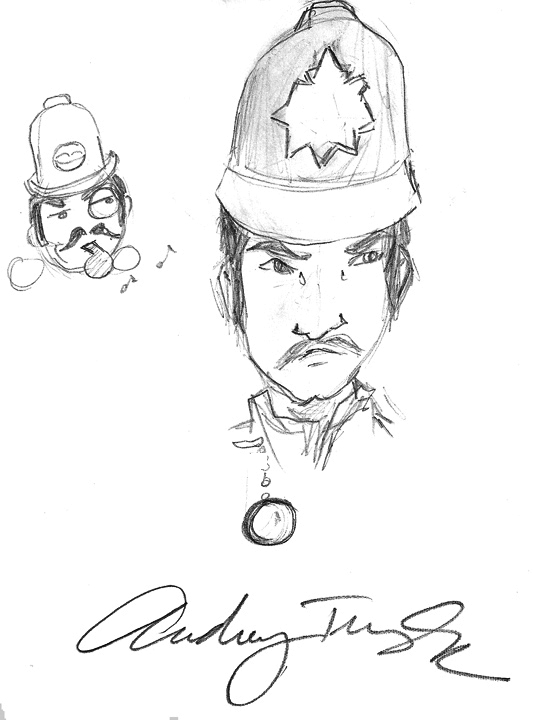 Space 1889 and Revelations of Mars were both Kickstarters I gladly backed. I am not getting the PDFs buy am missing the hardcover of Mars at the moment. All of these games together have given me a lot of ideas on various games. One is one I have mentioned before, "1901: An Æther Space Odyssey". HEX is firmly Pulp Era but LoA and Space 1889 are Victorian science fantasy. I am going to take the median here and go with the dawn of the Edwardian Age as one of Space Exploration. Despite the implied settings in Space 1889 and Revelations of Mars, I am likely to go more Barsoom with my my Mars; though I am leaving War of the Worlds open. Looking forward to it! Hope you are too. I was digging through my hard drive the other day. Just looking through files after files of things I have written spanning 3 decades, 6 different computers, 8 different OSes and countless game systems. I have a huge desire to get these out of my hands and into yours. Either as free, purchase or whatever books. So here are the statuses of my various "Works in Progress", or in this case "Witches in Progress". The Witch (for Basic Era Games) is off to an editor for final edits. Art has been purchased and then I can wrap-up the layout. Eldritch Witchery for Spellcraft & Swordplay is off to a different editor. Art has been purchased for that one as well. That one will need some tweaks according to my editor, but that is expected to be honest. The Complete Book of Witches & Warlocks (working title) is a Pathfinder update to my Liber Mysterium book. It is a collection of everything I have done for d20/OGL witches. Significant edits and rewrites to bring my witches in line with the Pathfinder one. Here There Be Dragons... my son's old school (OSRIC/LL Advanced) book on various new dragons. Written, needs edits and stat revisions. The Vampire Queen adventure. Needs maps. For Spellcraft & Swordplay. Darwin's Guide. A collection of monsters for Gaslight. Writing. GoA: Obsession - who keeps killing singer Miriam White? GoA: Blight - the Protector of Ireland is dead and you are prime suspect. GoA: Wilderness - the Industrial Revolution is on hold when the Wood fights back. GoA: Dinosauria! - You are invited to a most unusual New Year's Eve party. GoA: Angst - strange goings on at a local school for girls. Ran once. needs edits. GoA: Underground - The new London underground train has unearthed something horrible. GoA: Pygmalion - an artist is surround by death. GoA: Synchronicity - what threat is so horrible that it takes the combined casts of Ghosts of Albion and Buffy the Vampire Slayer to stop? Some of these would work for other systems. Anyway. Lots of stuff. I'll need more time to sort it out, but no sense is letting it languish any more. I get these moods every so often. The desire to clean house. Normally it takes the shape of me packing up a bunch of my books and games and unloading them at the local game auction. But the last time I did that I so regretted it that I vowed never to do it again. So this time I'll create new books to unload. Well another Gen Con is over. Got to play some games, buys some games and see some people I have not seen in a year. I did not get to play any Victoriana, but I did have some Cubicle 7 people in my Ghosts of Albion game so that was good. Dinosauria went great! Much better than I thought it might. The game came in at just a little over 3 and a quarter hours, so not too bad really. Obsession went really well with the "revised" version and I had what might be the best Byron player ever. I have had a request to run Blight again, so I'll see about that. I have been itching to do something with a train or even the Orient Express itself. Just have to find the right story. More later. Have not even unpacked yet. Day One of Gen Con is done. Ghosts of Albion: Obsession ran great! Quote of the night from Byron "Does it burn like fire or burn like syphilis?" We played "The Legend of Drizzt" yesterday, but the woman running the game was a bit of a flake so we had to kind of muddle forward on our own. Oh and she didn't get us started till a half hour after we were supposed to. I am at the Cyphan Con here in Chicago (ok, at Rosemont). I am in the Gatwick Room of the Hyatt Regency O'Hare in Rosemont. 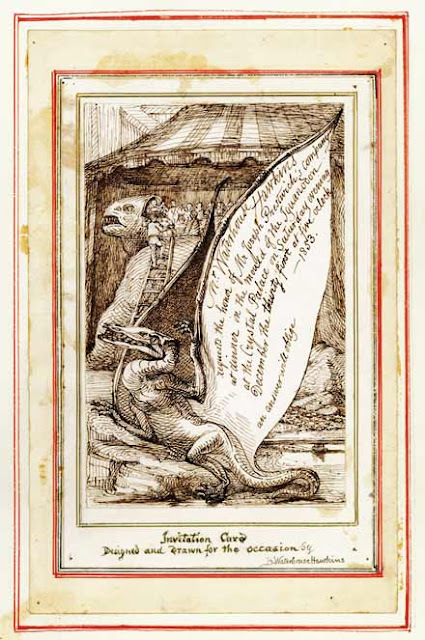 Saturday 7/30, Noon to 4:00 for Ghosts of Albion: Dinosauria! If you tell me you saw it on my blog then I'll give you something special. No idea what that will be to be honest, but I'll find something!! Players of "Obsession" will see a familiar face here. Chief Constable Walter Edwards is no stranger to the occult nature of his city. While he was a regular Peeler he saw something that very humans ever witnessed. He saw a large man trying to rough up a working girl. Edwards, believing he was stopping a potential beating of a dolly-mop rushed in, truncheon ready. What he saw when he got there was not to be believed. The “man” was over 7ft tall and had horns growing from his head and had fire for eyes. The creature laughed a horrible, inhuman laugh, and it ran and jumped over a 12ft. wall. The papers were soon calling the creature the “Spring Heeled Jack”, but you know he was something like the Devil. He met up with others then, some who had similar stories, other who seemed as strange as the creature, but he learned of a new world that day. 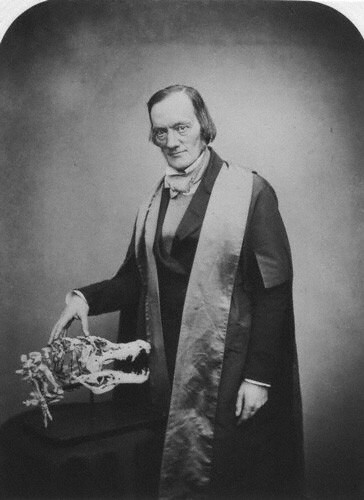 Edwards was given a gift, a special pair of glasses that allow him to see the supernatural world. Ghosts, lines of power, faerie creatures and worse walked the streets of London. Edwards has starred into the Abyss and it starred back at him. Though unlike so many others he had the courage to take the next step, and the next and the next. Monsters or humans, he represents law and order in this city and law and order he will have! If there is an odder pair found on the streets of Victorian London, then this chronicler does not know about them. Lady Fiona Seelis comes from old, old money though most do not know how old. Her guise is that of a wealthy widow whose family owns many lands in Wales and north of London. She has a bit of an accent that she claims she got due living in France for a number of years after her husband’s death. No one seems to recall ever meeting her husband, but after a few moments with the lovely Lady they know they must have met the poor devil before his untimely death. Accident it was, at least that is what you heard someone say. Lady Fiona though has never been married, indeed she is no human either. She is in fact a lesser noble of the Unseelie Court. Her Mistress, Queen Mab herself, has sent Fiona into exile to study the humans. She is supposed to report back on them in a number of years. The girl known only as “Jane” (Xian in her own country) is a young girl from China. At first she was like any number of the thousands of immigrants to England’s shores till the night she tried to kill Lady Fiona. To be fair Lady Fiona had been stalking the streets of London looking trouble of her own. Her Faerie nature driving her to defend her territory from intruding monsters, not out of altruism or care for the humans, but because this territory was hers. Jane had secrets of her own. She was a young Tong assassin in training. Her job was supposed to be a simple one of killing a rival. But the rival gang learned of this and kill all in Jane’s group. All, including Jane were suspected dead. Her Tong never search for her since she was only a girl. Fiona saved her that night and the two now hunt the streets of London together. Neither woman is what you call “good”, they are very apt at playing the roles they have created for themselves. Fiona will appear as the rich widow with more money than sense and Jane will play the role of the quiet maid servant of the east. Fiona, due to her wealth, beauty and more than a little faerie magic is given unprecedented access to places where no other woman is allowed. Jane is constantly near her and Fiona will claim that Jane must always be there to attend to her. In reality Jane is on constant vigil for Lady Fiona’s enemies and she carries her mistress and her own swords. Fiona has been invited to the New Year’s Eve party in thanks for her generous financial contributions over the years. This Gen Con I am going to introduce a new adventure for Ghosts of Albion. The first I have written in a while and I am quite excited. The adventure is centered around the New Year's Eve 1853 party at the Crystal Palace. The characters are all invited to a most unique party inside one of the first ever models of a dinosuar! I'll be presenting some details for players here and the characters they can play. Currently I have an immortal sorceress, a cowboy with golden bullets that he may have gotten from the devil, an Algonquin shaman, a faerie lady, and an American occult scholar. Various updates to some hanging threads. The Northlands Game group met over pizza. We are going to be playing Pathfinder as I expected, which is good. We are using variations of of our former Pathfinder characters (so yes, starting at 1st level AGAIN). I am going to be playing Oisín, a Cavalier (not a Paladin). All the characters are half-brothers; Dad got around a lot. I need to read up on the Cavalier some more and decide what cause he takes up as his own. I will be going to Gen Con this year. So far I think I am only going to run three games. Dinosauria! (one for adults and one for younger people) and a revised Obsession. Obsession was a HUGE success in my mind, but every group wanted to kill the wrong guy from the start, which is fine, but not at all what I wanted to see happen, so the adventure is the same, the first Act will be slightly changed. So if you played Obsession before, this will not be different enough to play again. I do want to run a kids game, there are more families coming to Gen Con than ever before and I want to support that. I think the issue with me not finding a good sci-fi game is I tend to link Sci-Fi more to properties (Star Wars, Star Trek) more than I do Horror or Fantasy. The closest thing I ever got was Star Frontiers. I think, given what I am mostly likely to do with a Sci-Fi game, is stick with d20 3.x. There are plenty of good sci-fi games that use d20, including some of my faves Star Wars and Star Frontiers (sort of d20-there are SF elements in d20 future). I am going to have to give it a try sometime to see how it all works out. I have a 4Gig USB drive I carry around with me. It is full of half finished projects that I really need to get done. Got this on New Year's and have not done anything with it since. It looks great and I follow a bunch of BASH related blogs and newsgroups, but to date I have stated up one character. I am holding on to the name of this one. But the idea struck me while clearing snow off of my drive for like the 12,000 time this winter. I went from making it's own system (which I plan on using somewhere else now) to thinking I should just use the open Traveller stuff. Seems fitting to me anyway since Traveller was my first Sci-Fi RPG. A Blue Rose / Ravenloft crossover. Ravenloft I think works much better under the True 20 system than the d20 one for a variety of reasons. Blue Rose is an under-appreciated game that I think shares a lot in common with the feel of Ravenloft. Together they are greater than the sum of their parts. An Intro adventure for Ghosts of Albion that I'll be running at Gen Con. Need to get Act 2 finished. A more experienced adventure for Ghosts of Albion. Done, just need to go back and tweak a section or two. Started out as Unisystem, then True 20, now using Spellcraft and Swordplay, which I think is the best fit for it. Adventure not just in the Celtic age, but Ireland in particular. Witch supplement for Spellcraft and Swordplay. An adventure for Spellcraft and Swordplay. Working on something for hire here. Has not been mentioned yet so I don't want to do that here. Plus some other projects I can't even talk about yet. I'd like to post a "follow-up" to some of the comments I have gotten over the last few weeks. You took the time to respond so I feel I should take the time to answer questions and the like. I still have stats I want to do for teenage Zantanna, the girls from Kim Harrison's Rachel Morgan series and even delve into some of my favorite Hammer films. I guess what I need to do is prioritize these and then just get them all done. I am pleased to be able to post some positive updates to Ghosts of Albion! First, news from Eden Studios. Ok its been a while so here is an update. Last year I had planned to release a bunch of product - it started off good - projects were moving through the pipeline and all looked well. Then as I sent two projects to press BEFORE GenCon I was hit with a very serious legal issue that threatened financial ruin for me personally and threatened to take Eden down with me. I can't go into too much detail about it but basically I made the call to cancel the print projects I had in the pipeline to get my deposits back from the printers so that I could have that money set aside to deal with the legal issue. It was a hard decision to make... but I didn't want to hurt my relations with my printers if I was forced to pay those legal issues before we were able to collect from distributors moneys from new releases, that would have also meant not paying freelancers and everyone else. So it was easier to just push everything back and put Eden on a holding pattern (again). As of last week a ray of hope arrived, no let me word that - a miracle happened with the legal issue. As of March 15th I will be absolved of this issue. At a HUGE financial savings. Which means I can put the money I set aside for lawyers back into the Eden coffers to release Ghosts of Albion and ConX ETs book... and then proceed with the Books of Flesh reprints and new AFMBE material. At this time Ive begun reworking the Eden website and will hopefully have it go live in a few weeks. As soon as I can I plan to send Ghosts and ConX back to the printer que. Also we are planning to have a booth at GenCon this year... with new releases (other than Ghosts and ConX ETs). Once again I ask you to be patient. I know many of you may have moved on but for those of you who are still here... thanks for all the support. This is of course fantastic news! So we could be seeing a Ghosts of Albion core books in stores soon and at Gen Con. Speaking of Gen Con, I have three Ghosts of Albion games lined up. Two sessions of "Obsession" and one of "Dinosauria!". Details on those when I can.